Mother Earth Vol. X. No. 3 (May, 1915). 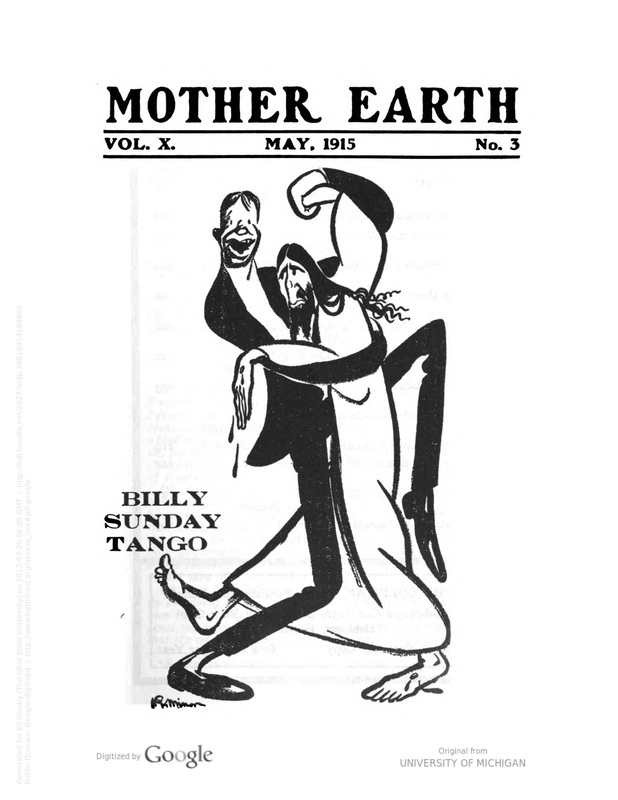 Sourced from Greenwood Reprint Corporation's 1968 republication of Mother Earth in their Radical Periodicals in the United State 1890-1960 series, digitized by Google and uploaded to HathiTrust. Document has 100% OCR.